Well…… after watching me eat my lunch, the husband wanted one. Odd. He usually thinks I’m weird. He was eating at the computer (naughty naughty) so he has things he can snack on. 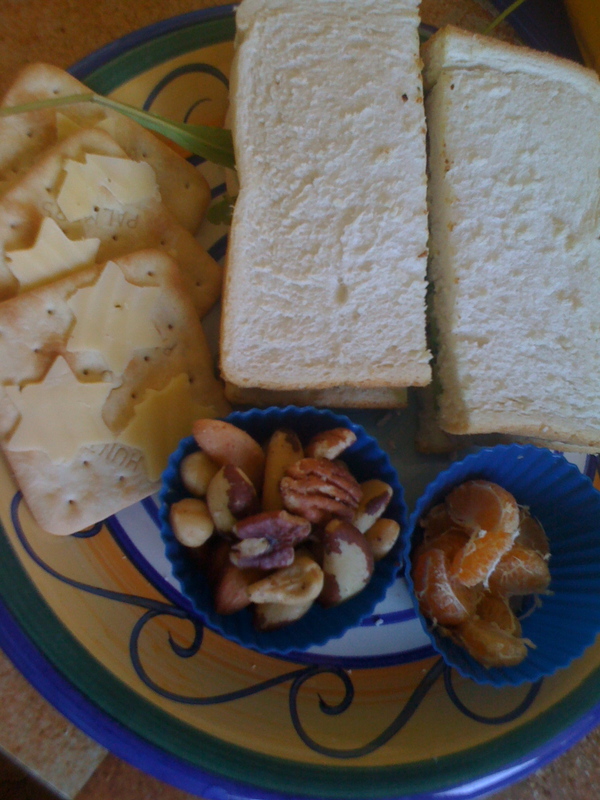 One large salad and ham sandwich, 3 crackers with cheese stars (the stars were not noticed btw- but as I spend 3 hours wearing a pair of lion ears the other day without comment, I am not surprised), mixed nuts, and a mandarin from the tree. October 3, 2010 in husband, lunch.